Yay, I had been quite feeling lazy and feelin' achy bec. my visitor is here again to bother me. Ahhh I know you ladies out there know what i am talking about. Just few days ago i had this migraine again that is so annoying that I need to take a medicine. And just this morning, i also had a headache and this evening a tummy ache !! Wow what is that! They never end huh! I always feel like this every month but right after my pms days i'll be back in the mood. Don't you worry guys i'll be fine. Well this will be a short post for now, it's already midnight around here so i better go now. More stories and pictures soon.. Night night !! I just find those people with smooth and flawless skin so lucky bec. that is what I wanted to achieve to my skin, my face specially. I have an oily T-zone and that is what I am worried about. I also got zits ( I have one right now.. arghh) from time to time and I know it is due to my oily skin. I have tried numerous skin care products and sometimes it gives good results. I reckon I still need to cut eating oil foods and nuts to help prevent it. There are people that have big acnes al over their face and sometimes they are embarrassed by that. I think those that have that need t consult their doctors for appropriate treatment. There are also treatments that some have considered and it is the chemical TCA peel. It is like exfoliating your skin to remove dead skin, blotches and even scars. I have not tried it before but it looks promising. There is even a chemical facial peel that you can use to prevent burning and stinging after the peel. Something that I have not considered yet….. I can’t count anymore how many times an insurance agent come up to me and ask me to get one but seriously it didn’t come to a point where they have made me acquire one. The agent or the representative was eager enough to tell me about their policy and their great life insurance rates and I was kind enough to listen to them though. A Pinay friend of my sis and who also became my friend recently called on the phone from Brisbane and I was so happy to hear from her. She moved there a year ago and I think she will settle there for good with her family. We have talked about lot of things from celebrities, her kids, her new life there in the new city, my love life (gosh) and would you believe even an affordable life insurance. The nice thing about talking to her is that we can chat about anything under the sun. How I wish she was still here in Sydney bec. I remember I accompanied her to the shops and even made a baptismal invitation for her baby. We all miss her!! Here are some photos when we went to Kiama after Wollongong here at NSW, Australia. another town here and another tourist place, we ate at the park and we had fun feeding the birds. One of the town’s major tourist attractions is the “Blow Hole” derived from “"where the sea makes noise". Another beautiful light house at Kiama. wow i have seen 3 already here in NSW. A cold miserable winter in your hometown can be sometimes depressing however, vacationing somewhere else in no matter what the weather is like is always better. A spring break getaway is just you might need to cheer you up. With many locations over this vast country called Canada to visit. Why would you go anywhere else? Montreal, Quebec, what a different culture. It’s like being immerse in France. The food, language, and atmosphere is completely different to any part of this country. The monuments, the bay, and the diversity of people make this an ideal destination for getaway. On the other hand you can explore British Columbia for an amazing outdoor adventure, with the ski slopes as far as the eye can see and the rugged wilderness that will bring you back to nature and invigorate you and your family. Ontario what a great destination, old building parliaments monuments, history it’s all there for you and your family. A vacation will not be complete when you don’t have any place to stay while visiting this country. There are many Delta hotels around that offers range of family packages all over Canada from skiing packages, to romantic getaways the best of all with great variety to choose from there is always one fro the family. Just don’t know any house who doesn’t have any lights esp at nights in their backyard and front yard. Burglars love to work at night and we can keep them away (sort of actually) by putting lights to keep our homes illuminated. Sis got one of those motion sensor lights here at their front yard so every time someone comes near the door the light will just light in so you’ll know that someone is there. My sis and I went on a massive sale last week at Campbelltown and of course we both enjoyed it. And since Fall and winter will be coming soon, the stores are getting rid of their of summer clothes to give way for the new winter trend. So what my sis did was to get summer clothes for her kids one size bigger so they can use it next summer. Almost all the clothes are 50% off till 70%. Imagine clothes worth AU$ 30 before you can buy it at $3-5 when it is on clearance sale. Wow isn’t it? It’s like shopping online using one of those Kohls coupons but sometimes I prefer shopping at malls so I can pick and hold the products that I want. I hope there are still more stores that will have clearance sale bec. for sure my sis and I will be going there. Yay in no time it's gonna be FALL here soon at OZ Land and gosh I hope i can keep up with the cold days ahead of me. They have had a stormy Summer so i bet their fall season will be a cold one too, how much more their winter? yay ! Oh well, at least I will not be experiencing their winter since i will only be here till the 17th of April. Cold weather makes me want just to stay at my room and watch the TV or DVD. How I wish i have one of those popup tv lifts in my room so i can conveniently watch my fave shows. Oh well I am having a grand vacation here and my sis got a big TV with Foxtel (cable) in it so i got to see lots of shows I don't normally watch in Pinas. Oh no not mine hehe, i already got 5 and i think that is enough! (???) Well, my sister Joy got interested in having one when she saw me how to post entries and how I make a little profit out of it too. Well at 1st I thought she will not be interested bec. she is a busy mom too but one time she asks me how to do it. I taught her how to make one from blogger and we bought a domain name at 1and1.com. Of course i assisted her in redirecting her blog to her domain using my tutorial HERE. Hope you can visit my sister's blog The Way of Life in OZ, leave a comment or just say hi for sure she will be happy. Thank You! Yay, it's Valentine's day today ! Ahh just an ordinary day for me since I have no special someone hehe. Anyway, it was cold today here in OZ Land and it's perfect time to just laze around and sip a cup of coffee. A Pinay friend (Erma) of ours came here at lunch time to ask help about her net connection on her laptop and I managed to help her with her questions. Soon after she left my sis and I were on the computer to do some blogging (yes she's into now!) and other stuff. I will just share the link of her blog as soon as she finished tinkering with it. BTW, so sorry for not visiting your blogs always and doing some of the tags you have for me. Promise if i have more time and when I'm back in Pinas for sure i'll be back on my old routine. Anyway, just wishing you all Happy Valentine's Day and thanks for droppin' by. My 1st time to see a hail storm!!! Yay, the weather here in Sydney is so erratic, sometimes it is so hot and sometimes it is so cold and windy. In the last weeks, it has been raining like crazy here that left some of the street flooded and the creeks overflowing. There was one time when there is a storm, heavy rains fell and not long after small pieces of ice dropped (pea size) along with the rain. Sis called me to let me see it. I was so excited since I have not seen one yet since we don't have one in the Phils. anyway.. I didn't bother to grab my camera since the ice melts in just seconds but that was a nice sight to see. Ahhhh I am just dreamin' to see a snow but unfortunately I will be going home soon even before it snows in the mountains. Hello peeps, gosh I miss blogging so much hehe!! I just wanted to say THANK YOU to all those that give their prayers and concerns about my nephew who was hospitalized due to Dengue Fever. He is actually out of danger now and out of the hospital and will go to school by tomorrow. It was an emotional and financial burden for my family back home in the Phils. so we are so glad that he was finally out of the hospital. I just hope no one in my family will get this fatal disease again. So guys, be careful and if you have kids you have high fever and showing signs of dengue, go to the doctor as fast as you can! Ahhhh.... I am just loving my vacation here in the Land Down Under and I am just so amazed that I can keep myself away from the computer hahaha. I am actually busy offline, l will just summarize it bec. I am not updated here. 2 weeks ago, we went to Wollongong, it was an hour drive and the place boasts of its nice beach and a lighthouse. I have been dreaming to see lighthouse and wow I have seen already 3 of them here in Australia. After that we went straight at Kiama, another town here and another tourist place, we ate at the park and we had fun feeding the birds. One of the town’s major tourist attractions is the “Blow Hole” derived from “"where the sea makes noise". Of course I will never leave the place without pictures for souvenirs. Tourist’s spots will never be complete if there are no places to stay like hotels, apartments of condos. Aussies love to take vacations on the beach or anywhere so there are hotels, condos everywhere and I know there are a lot of Branson hotels in Branson Missouri USA where vacationer’s can stay. Anyway, my bro in law always see to it that I can experience and see different stuff here in Australia so he makes it a point to tour me and his family around here. I am so lucky huh? I am so excited on where we will go next… watch out for updates!!! These days were criminality can increase sometimes we can never really rest on our laurels. I have once experienced being robbed in my store few years back where I have done nothing to defend myself. It was very frightening and if I were to choose and I can consider having a look at those self defense products that I saw online. Some of the products that I saw were pepper sprays, stun guns, tasers, and alarms that I reckon can save lives when used for personal safety. Ahhhh living by the sea, it’s everybody’s dream, waking up in the morning, pouring yourself a hot cup of coffee, sitting in your balcony and looking at the ocean views. And what better place to do this than in Hawaii. Just like in the movies that’s the way it is, lots of beaches, lots of shopping (I can never resist this!) and a great lifestyle. But this could be very expensive, purchasing a house and maintaining the lifestyle as well. It’s much better appreciated if you don’t have to work to pay off your mortgage. Buying a condo or an apartment are a great alternative and a good investment too. Self contained, modern and accessible to average person who wishes to enjoy a sea change. 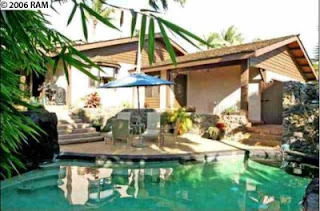 Wailea Condos and Kihei Condos are just some of the estates with great views and good amenities, a sense of community that is had to find in the suburbs. What better place in the world to settle down and enjoy life than Hawaii, culture and relaxed way of life is something that no amount of money can buy but it sure comes close paradise. I am looking forward to experience someday the taste of relax and great lifestyle and what Hawaii could offer. I bet it’ll be a taste of heaven. This morning we went to Campbeltown and went to K-Mart as they are having a massive out of season sale. There are blouse and pants worth around $3 and up and my sis got me 3 blouses which is a great find and she got tons of shorts and shirts for the kids and for herself too. It will be winter in no time here (around June) so they are selling all their summer clothes at very low prices to get rid of their stocks. The kitchen wares, office supplies (i saw bic pens that are on sale too), paper scrapbooking kits, shoes, toys and more are on sale. This is much awaited by most of the shoppers around here as you can really get a good bargain. When renovating homes, one of the most important rooms in the house aside from the kitchen is obviously the bathroom. There are many ways on how we can make it not just functional but beauty as well. The bathroom vanities are much more modern and essential part of any bathroom renovation. The single room vanities are ideal for the smaller renovation you can add style and class to a bathroom with a simple cabinet and sink. It is almost unheard of this days to have a bathroom w/o some sort of vanities included. For the larger renovation, double bathroom vanities are much more appropriate cabinet to fill up the bathroom to give a proportion. You don’t have to be a renovator; you can choose appropriate vanity even if you are building a home form scratch. As a matter of fact I don’t think I have been to a house w/o a vanity on it, it would be like a kitchen w/o a sink, it is a must. In conclusion, with the wide choice and varying styles of vanities available today, there is a myriad of fashionable and elegant products out there that are essential to any home renovators’ plans. You can have great choices at Premier Vanities that I can vouch to have good selection. You better check them out for you to find out. 1. Last time you had a manicure/pedicure? Just a week ago. Sis bought a Revlon nail polish and to save some $ we did it ourselves. 3. What did you do last night? I cried and skipped my dinner. When considering insurance it is important to research all the facts of the insurance company. You wanna makes sure that company is reputable, long lasting and has a good history. There are lots of home insurance quotes online that you can consider for your home and contents. A little research can go a long way and can save you in a long run. Our homes are our big investments so let’s make them safe.